The University of Pavia and the Faculty of Engineering offer many opportunities to enrich your studies with an international experience. Double Degree: bilateral agreement between the Faculty of Engineering, the University of Pavia and other foreign universities. Students spend a year in their home university and a year in a guest university gaining credits in both universities. At the end of the program, students will be awarded with two diplomas, one from their home university and one from the guest university. Combined Master Programme: bilateral agreement between the Faculty of Engineering, the University of Pavia and other foreign universities. Students enrolled in foreign universities have the chance to study one year at the Faculty of Engineering as “Visiting Students”. The credits gain during this year are recognized by their home university and students are awarded with a bachelor degree. The following year students may enroll to one of our master programs and ask our Teaching Council to recognize the credits previously gained and to be admitted directly to the second year. The University of Pavia is member of several important International networks and has numerous cooperation agreements with foreign universities. Marco Polo Program: The Marco Polo Programme was launched in 2006 by CRUI, the Conference of Italian University Rectors, in response to an official request from the President of Italy.The Programme was conceived in order to increase the number of Chinese students enrolled in Italian universities. The concept of the Programme was to create a preparatory course of Italian language and culture for Chinese students wanting to enroll in Italian universities, in order to provide them with the knowledge needed to attend level 2 classes. The University of Pavia started its own Program in the very first year in March 2007, offering a high-level, six-month, full immersion teaching program with classes taught entirely in Italian by highly qualified personnel. The teaching program, which has been tested through the years, includes grammar, phonetics and speaking classes, as well as a course on Italian culture and a specific test-training course designed to help students prepare for the final exams. Student Exchange Program: mobility programme for studying or researching at a partner foreign university. UNIPV students can choose to spend time in universities placed all over the world. Every year our Internation Relation Office publish the available opportunities on their website. 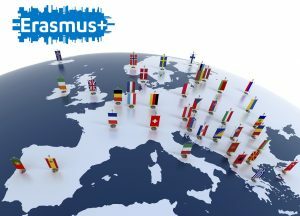 Erasmus+ Outgoing: european mobility programme that gives students the opportunity to spend time in an European University for a minimum of 3 months to a maximum 12 months. In order to take part in the programme you have to follow the instructions published every year in the specific announcement usually between February and March and go through the selection process. First students start their erasmus experience since June of the same year It is possible to access also to financial help. On each location page you will find useful information such as study plans and stories from previous experiences written by students. Some of them even left their contact information in case you want to get in touch with them. Erasmus+ Traineeship -Outgoing: european mobility programme that gives students the opportunity to do an internship in a European firm for a minimum of 2 months to a maximum 12 months. Every student has to find a interniship opportunity with help of teachers or our online resourses. In order to take part in the programme you have to follow the instructions published every year in the specific announcement usually in autumn and spring. It is possible to access also to financial help. Erasmus+ Studio Overseas- Outgoing: mobility programme that gives students the opportunity to spend time in an Extra-European University for a minimum of 3 months to a maximum 12 months.In order to take part in the programme you have to follow the instructions published every year in the specific announcement usually in autumn. It is possible to access also to financial help. Fund for Cooperation and knowledge: The Fund is intended to provide scholarships to students from Developing Countries, who wish to study one year at the University of Pavia, and to UNIPV students who would like to spend some months in a Developing Country for studying, researching and/or training. The Fund and the selection of the students are managed by a Committee composed by students, professors and officers of the University of Pavia. The Committee will select – among the applicants – the students who will receive a scholarship for the Academic Year 2017-2018. There is a call for applications currently opened to candidates from Developing Countries.